To set up an iPhone to access VPOP3's mail, you first of all need to configure VPOP3 to allow access by remote users (unless you will only be using the iPhone in the office, connected via WiFi to the office LAN). Scroll down and fill in the Outgoing Mail Server details. The details are the same as for incoming mail. If you receive a prompt saying “Cannot Connect Using SSL - Do you want to try setting up the account without SSL?”, select 'yes'. See below for further details. There are two methods to support SSL encryption in email. The current way uses the same 'port' as normal, and sends a command to start encryption, and an obsolete way uses an alternate port. 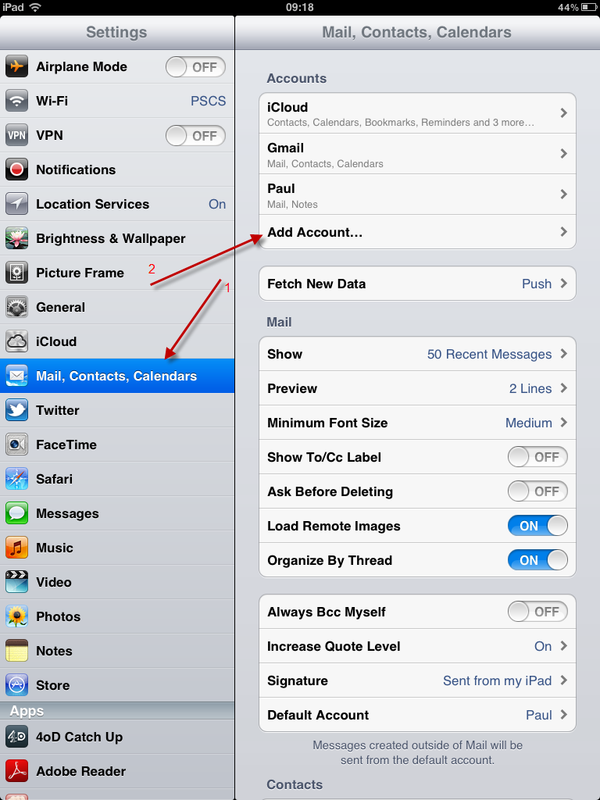 It appears that the automatic setup system for iOS mail accounts only handles the obsolete method, even though the mail client itself handles the current method as well.